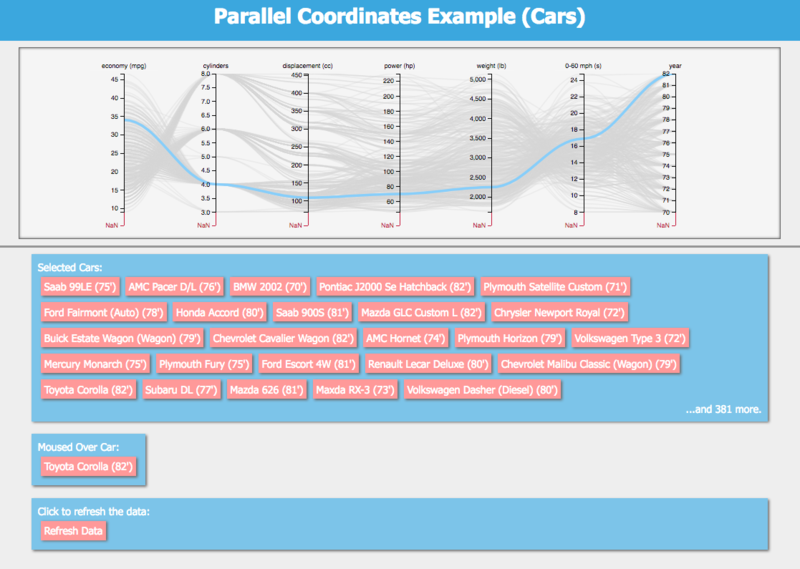 PcoordSVG – A component for viewing and browsing a database on a Parallel Coordinates Chart (rendered with SVG). PcoordCanvas – A component for viewing and browsing a database on a Parallel Coordinates Chart (rendered with Canvas). 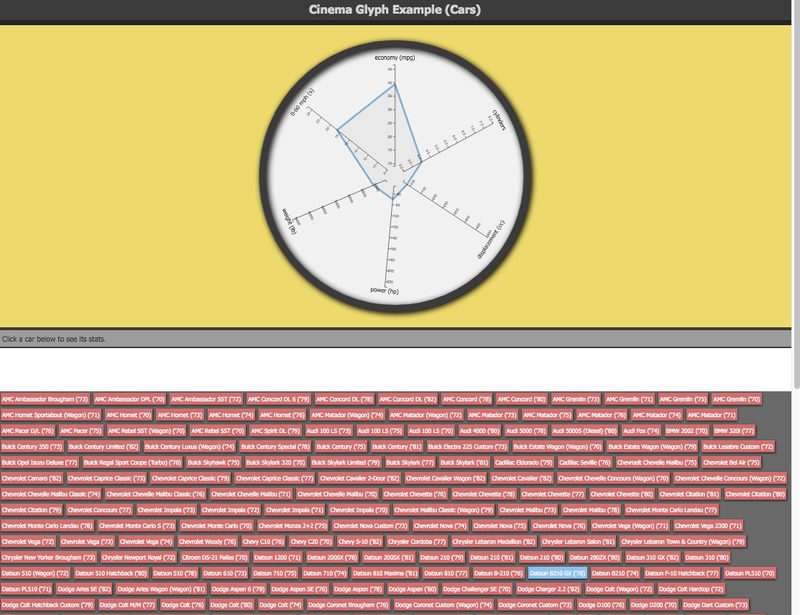 Glyph – A component for viewing data on a Glyph Chart. ImageSpread – A component for viewing image data for a set of data points. Query – A component that provides an interface for defining a custom data point and querying the database for similar points. ScatterPlotSVG – A component for viewing data on a Scatter plot (rendered with SVG). ScatterPlotCanvas – A component for viewing data on a Scatter plot (rendered with Canvas). Full details on the use of cinema_components is on the cinema_components GitHub page.